When your iPhone functions abnormally such as stuck on Apple logo, unresponsive to touch, the expert is always recommending you to get the device into Recovery mode, so you can fix the issue by updating or restoring iPhone. This is a proved solution to various system issues but not all the times. Recover Mode on iPhone is a state that you can put iPhone in emergency so you can update iOS or restore iPhone from backup. This is the best solution to fix certain iOS issues, like stuck on connecting to iTunes screen, iTunes can't detect iPhone, etc. 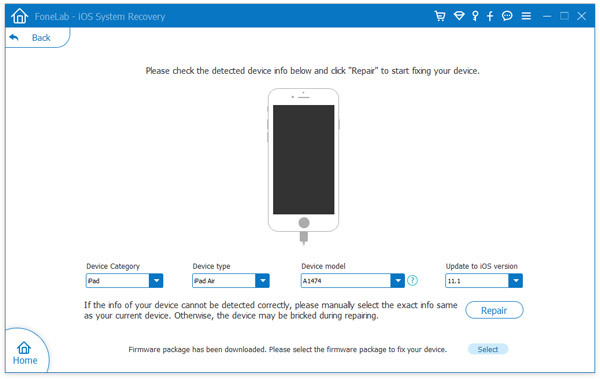 Generally, there are two actions you can do in Recovery mode: update iOS firmware or restore iPhone. If the process failed during the workaround (Download interrupted, no sufficient storage etc. ), then the iPhone will be stuck in recovery mode and you have to look for advices to exit Recovery mode . Step 1: Disconnect iPhone from computer. Step 2: Press Home and Power button simultaneously for about 15 seconds. After that, iPhone will shut down iPhone. Step 3: Now, hold on Power button for a few seconds to boot up the device. If the problem still exists, it means there is something wrong at iPhone Internal memory. Don't be scared. You can follow the suggestion in section 2 to get it fixed. Fortunately, you no longer need to worry about all that. There are several software applications that can fix the problem for you; the only problem is to figure out which one to use. We've solved that problem for you today, and have picked one the better, more affordable options out there. Androidphonesoft iOS System Recovery is one of the easiest to use. It is trusted by thousands of iPhone users around the world and is considered one of the best tools to recover an iPhone stuck in recovery mode. Here are the step to use the software. 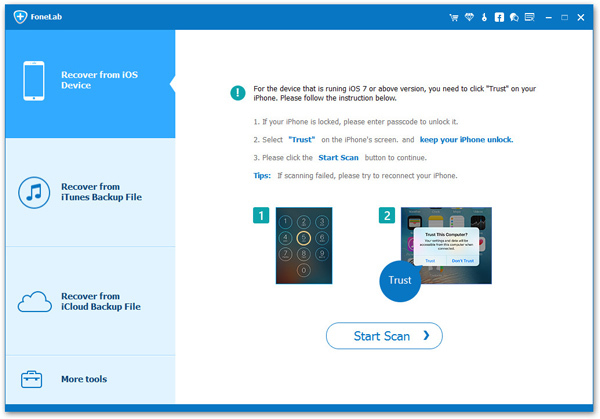 As you'll see, in just a few simple steps you'll be able to get your iPhone back to how it was before it got stuck. The first thing to do obviously is to download, install and launch iOS System Recovery software. There are Mac and Windows versions that let you see what the software can do before you purchase a license, but you'll need to activate it before you can execute the actual fix. After launching the software, connect your iPhone that's stuck in recovery mode to your Mac or PC. 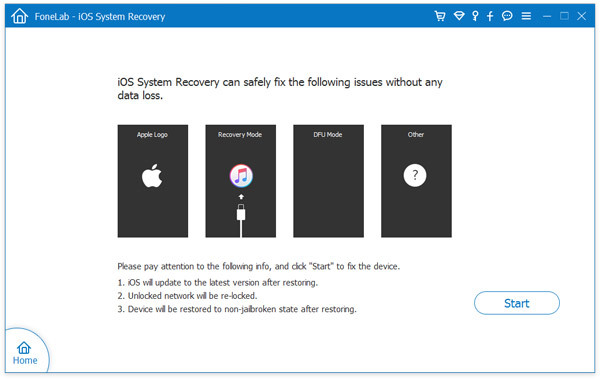 Next, click on "More tools" and pick the option that says "iOS System Recovery". You'll see it on the preview windows on the left. After that, click the "Start" option and let the software do its job. Once that's done you will see solutions for how to fix the phone and bring it back to normal. Click on "Confirm" once you've picked the right option, then click on "Repair" to start the process. 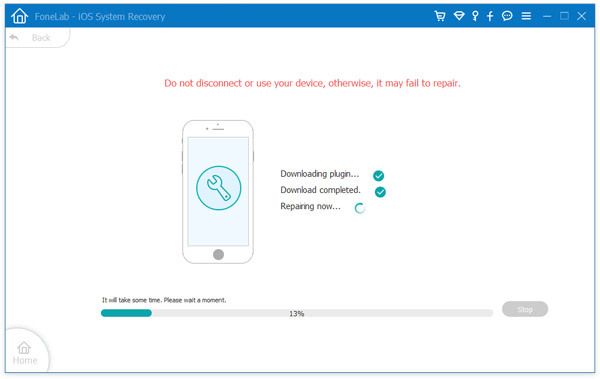 The repair plug-in will now download and begin restoring your iPhone. Wait for the process to be complete, and don't unplug your device while the fix is being executed. The process could take a little time, so be patient and leave the software to do its job. A couple of things to note here: Your iPhone will be upgraded to the latest available (signed) iOS version. If the device is jailbroken, it will be restored to the non-jailbroken state. What is more, any network that are unlocked will be re-locked. That's basically it. For a few bucks for the license, you never have to worry about your iPhone getting stuck in recovery mode, white screen death, DFU mode, BSOD, Apple logo or any one of nine or more different types of issues.